If you run your business on an accrual, or credit basis, your company accounting has to keep track of your business debts. Different debts are defined and reported differently. The accounts payable definition is the amount you owe suppliers or service providers who extended you credit. Bills payable are the documents that show how much you owe for credit purchases. The difference between accounts payable and accounts receivable is the difference between buying on credit and selling on credit. When you buy on credit, you add it to the accounts payable category in your ledger. When you sell on credit, you add the bill to accounts receivable. Suppose you own a hardware store and order $5,000 in tools to resell in your store. If you run your business on a cash basis, you don't have to enter the $5,000 in your accounts until you pay for them. If you operate on accrual, you add the $5,000 immediately as accounts payable. If the bill is still unpaid when you make up your balance sheet for the quarter, you list it as a liability. When you finally pay the bill, you remove the $5,000 from accounts payable and reduce your cash account balance by $5,000 as well. On accounts receivable, everything works in reverse. For example, when your customer pays you, you lower accounts receivable and increase cash by the same amount. Accounts receivable are an asset, rather than a liability. Accounts payable is a category in your ledgers. Bills payable refers to the actual invoices you receive from vendors or suppliers. When the supplier who sold you the $5,000 in tools sends you a bill for the shipment, that invoice is the bill payable. So are your monthly bills for light, water and other utilities. 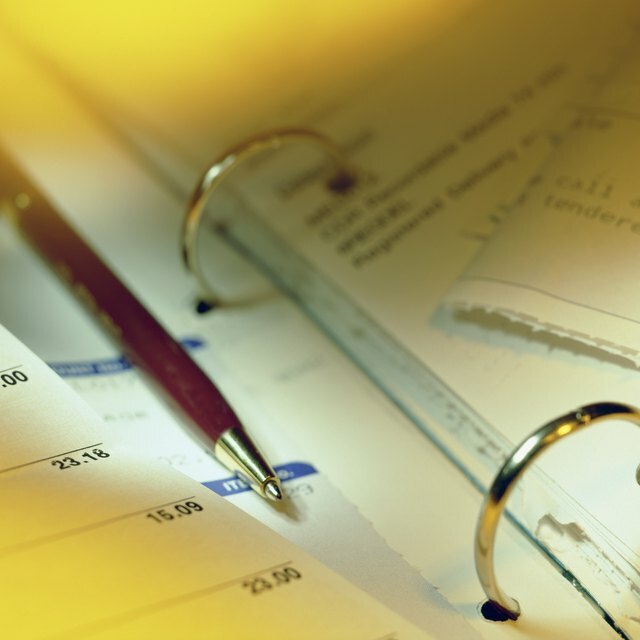 As accounts payable transactions usually come with invoices or bills, it's common to refer to bills payable and accounts payable as if they were the same thing. Some companies, however, prefer to separate some of their bills, for example putting utility bills in a separate category of utilities payable. This is useful if, say, the company wants to monitor its utility spending or consider its other expenses separately from utility bills. Notes payable sound like another name for bills payable, but it's different. There's also a difference between accounts payable and notes payable. Like accounts payable, notes payable is an accounting entry identifying money your company owes. The difference is that notes payable are debts with promissory notes attached, instead of bills. Suppose that instead of buying $5,000 worth of goods for your store, you borrow $5,000 from the bank. As part of the loan agreement, you sign a promissory note detailing the principal, the rate of interest and the due date for repayment. You record the debt in your accounts by adding $5,000 to the notes payable category, rather than accounts payable. As the note is not a bill, the money is not a bill payable either. Another difference between bills payable, accounts payable and notes payable is that bills payable isn't an entry on your financial statements. The debt represented by the invoices goes on the books as accounts payable. You record it in the "liabilities" section of the balance sheet along with notes payable. The balance sheet is an equation; the assets on one side equal the total liabilities plus the owners' equity. Any ledger entry with "payable" in the name is a liability. That can include wages payable, salaries payable, interest payable and income tax payable. Say your company's assets total $175,000. Your only liabilities when you draw up the balance sheet are $60,000 in accounts payable and $40,000 in notes payable. If you subtract the liabilities from the assets, that leaves $75,000 as owners' equity. That's the amount the owners would divide if the company decided to shut up shop. Accounting Coach: What is the difference between accounts payable and accounts receivable? Accounting Coach: What is the difference between Notes Payable and Accounts Payable?